There are spaces in my home that change with the seasons, my front door and porch, my dishes, my tables and my mantle, to name some. I try to change the elements so every season something is new (in a new location) and different from years past. 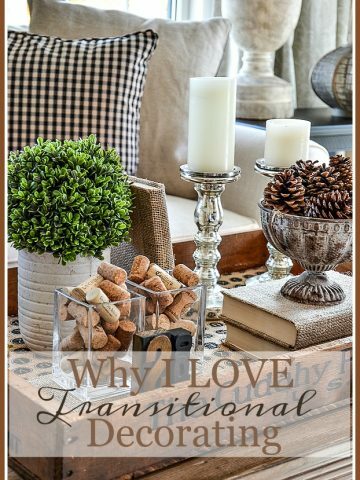 It would be very easy for me to get stuck with the same décor year after year, because I fall in love with one particular theme and don’t mind seeing it again. 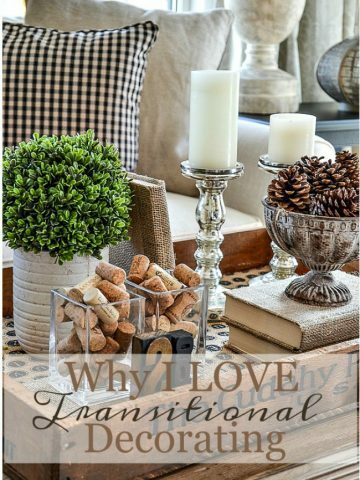 But, I am determined to use my creative muscle and keep the décor fresh and new to me. This year I wanted to create a warm almost monochromatic mantle, incorporating elements from nature and a little sparkle. I wanted to stay away from anything too “cutesy” or colorful. I was looking to create something rich in color yet not boring. 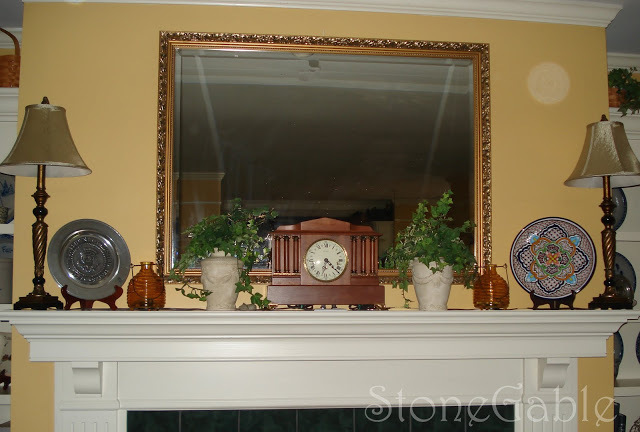 Décor is focused around the clock. It almost always stays on the mantle. It was built by my brother-in-law John as a wedding gift. Very cherished. 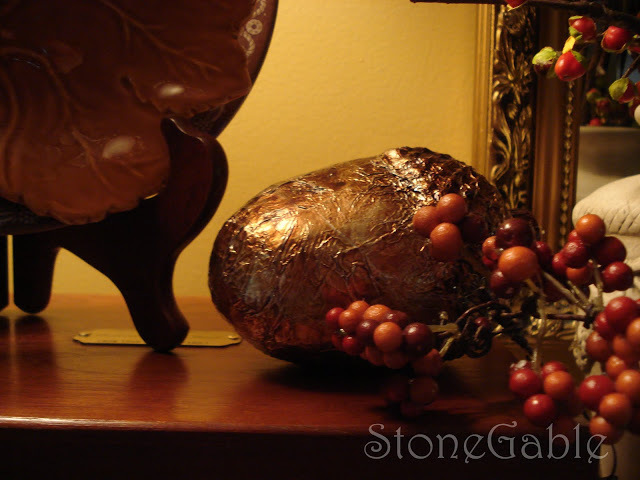 The urns are elements that I often opt to keep on my mantle. 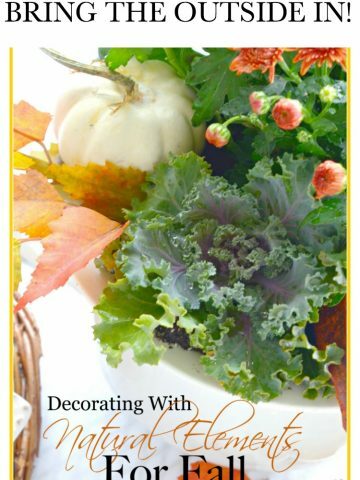 I fill them with many different things as a season or occasion dictate. These little pumpkins are years old, they just keep getting recycled. I try to buy only one or two new things before each season. While I am decorating I make a list of other things I could use or would like to have. AFTER the season I hunt for those wishlist items ON SALE. I have been doing this for a good many years and now have an extensive collection to use creatively. The life-like “twigs” were my splurge before season this year. They were well worth it. They look real and will find themselves all over my home for many, many fall seasons to come. 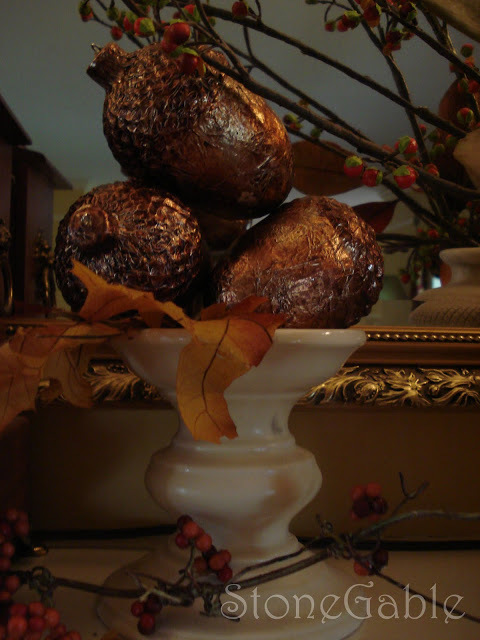 My second new item for fall were these large gilded acorns. I found them on sale already and knew I could use them, I just wasn’t sure where. As you can see they found a home on the mantle this year. 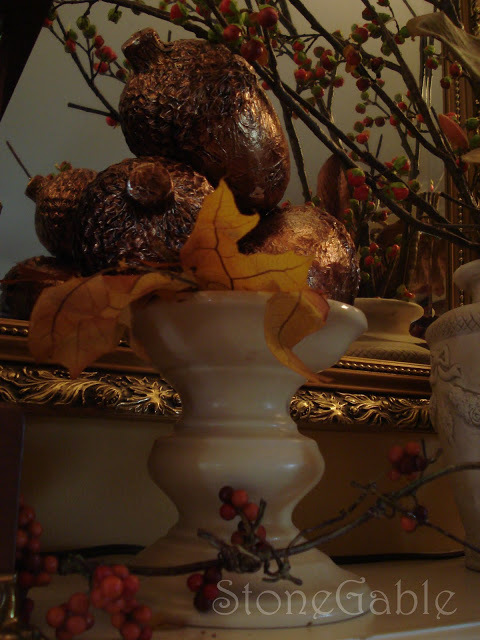 My collection of pedestals comes in handy when decorating…giving height and importance to the simplest things. I made a little tower out of the acorns using a creamy white pedestal I found years ago at a garage sale. 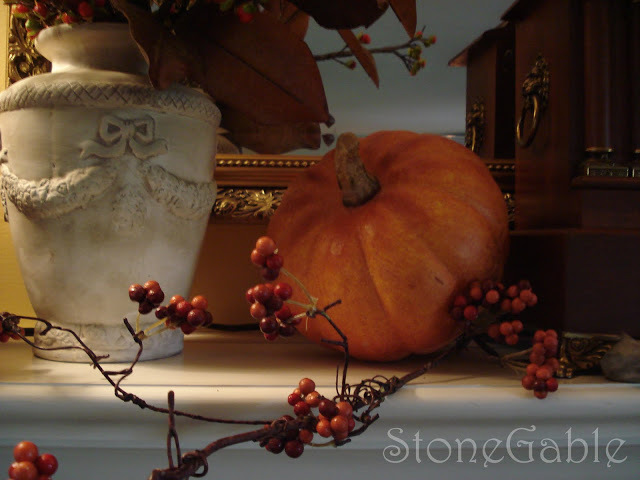 A very old faux pumpkin gets a new elevated perspective on a pedestal with some interest of its own. I moved my husband’s humidor to the mantle because I needed height and wanted the color scheme to stay warm and earthy. Plates on a stand and a pumpkin (I changed it to an acorn later) added more height and interest. Very pretty! 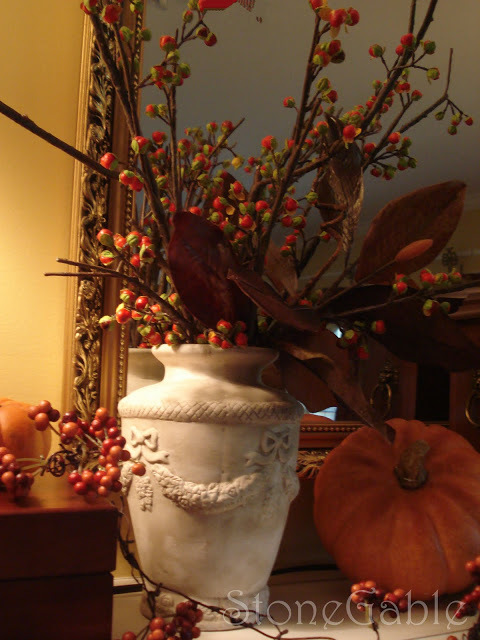 Love the pepperberries and orange tones mixed with the creams and browns! 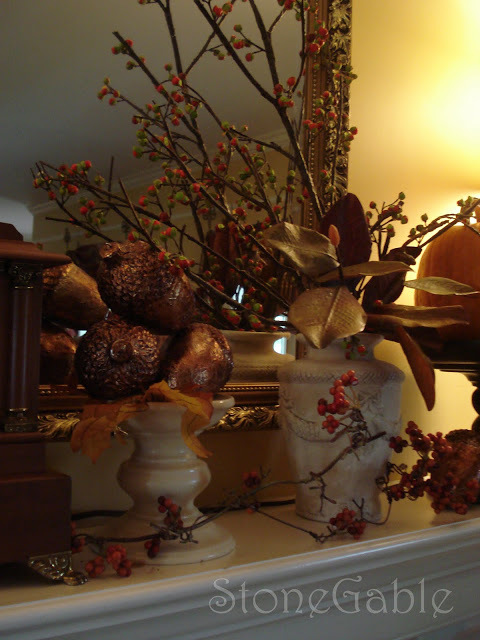 Lovely seasonal makeover on the mantel!! Those pumpkins are fake!?!? Oh, it’s SO beautiful! 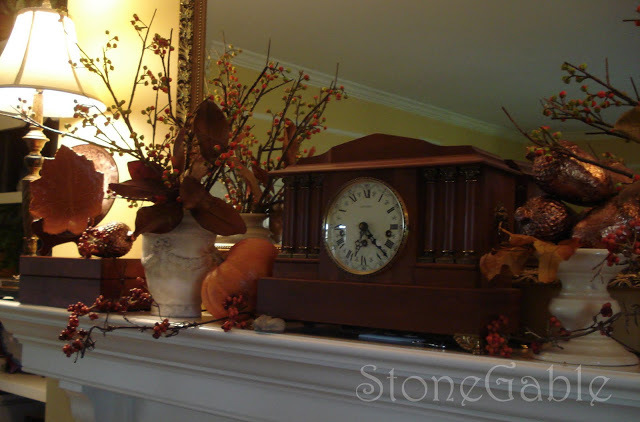 Love this gorgeous fall mantle scape. Really fantastic! Thanks for the inspiration … I needed it! 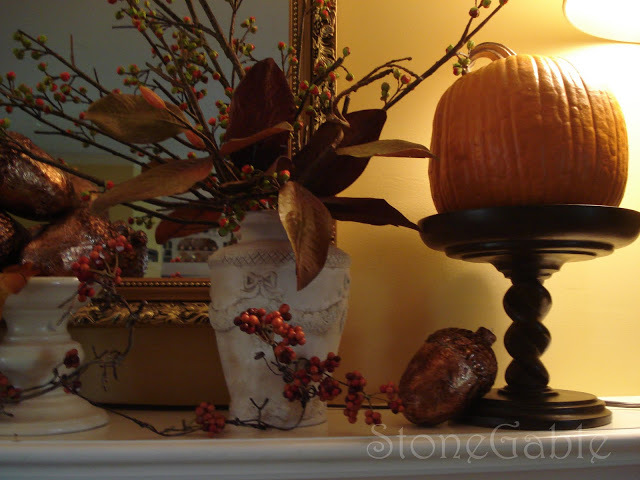 I love the transformation and those pumpkins look so real!! 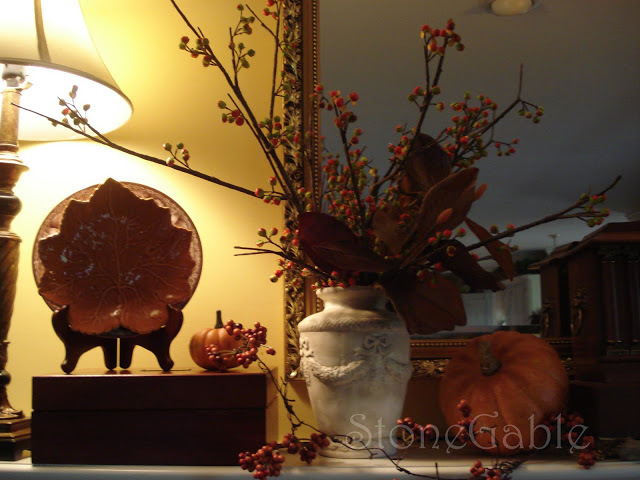 Love the colors you have used–looks warm and inviting! Love those twigs! I need some height on my mantle too. Where did you find them? Also, I’m totally pinching your idea of making lists of wants, then waiting for the ‘after-season’ sales. LOVE the huge acorns. Those rock! Such a lovely home. I love the fall colors! Wow! 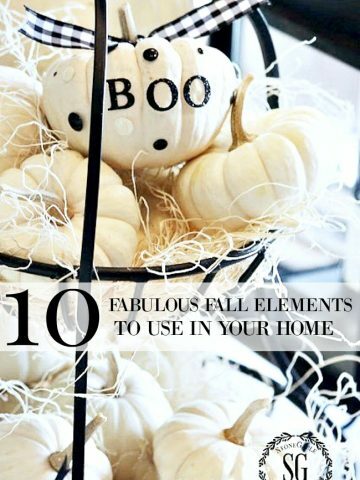 I just love your fall mantle. So warm and inviting! your mantle looks so warm and inviting now! I can’t believe your brother-in-law MADE that clock. I’m sure you’ll treasure that forever. Have a good week!